To inherit her father's massively successful culinary empire, Brianna must compete against her 15 brothers to run the best, most profitable restaurant. 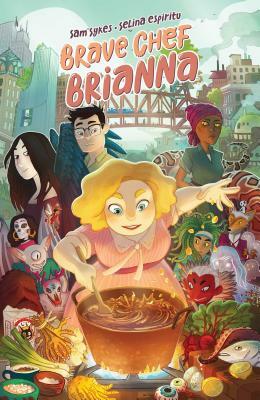 She sets up shop in the affordable and idiosyncratic Monster City, and, despite their strict dietary guidelines and Brianna's bouts of self-doubt and anxiety, her business booms. A competitor dislikes this newcomer, however, and Brianna must find a way to earn the respect of her community and her family without boiling over. Recipes included!! !